This sprouted lentil veggie burger is a fun and wholesome high protein meatless dinner idea that can be made on the cheap! Sprouting lentils can bring out additional vitamins, enzymes and can make them more easily digested. 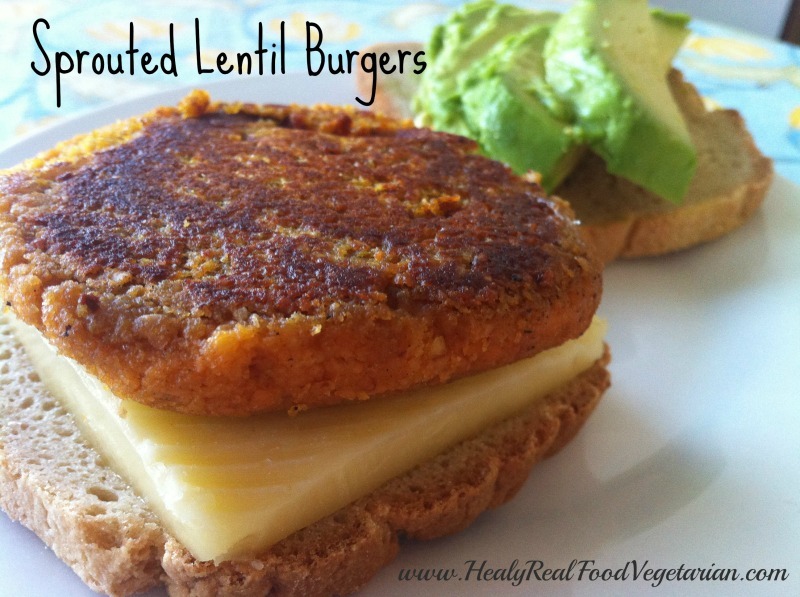 I often have sprouted lentils in a variety of ways and regularly enjoy these veggie burgers for dinner. I sometimes make a double batch of these so I can make extra to save for lunch later in the week. 1. Before making this recipe make sure you’ve sprouted the red lentils about 3 days prior. Click here to see my post on how to sprout red lentils. 2. Cook the sweet potatoes by steaming them or by cooking in a 400° oven. Remove the skin and mash. 3. 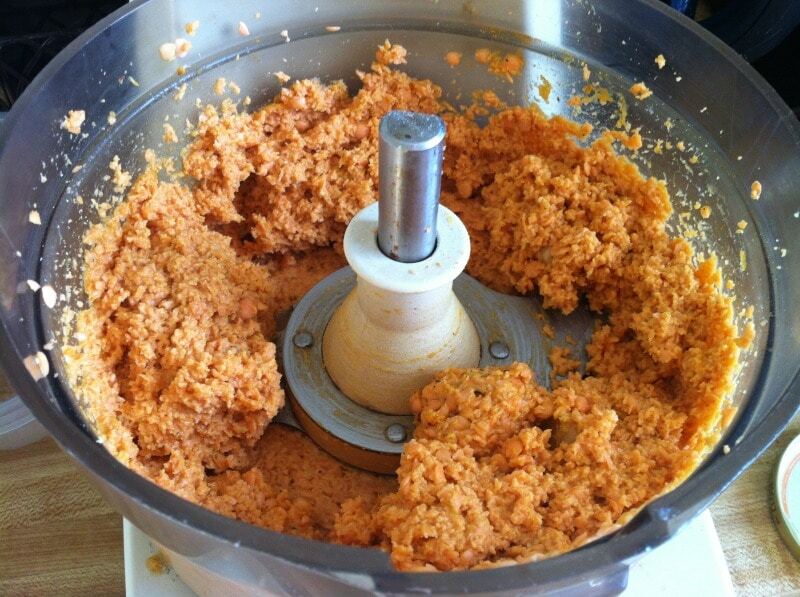 In a food processor combine ingredients and mix. 4. 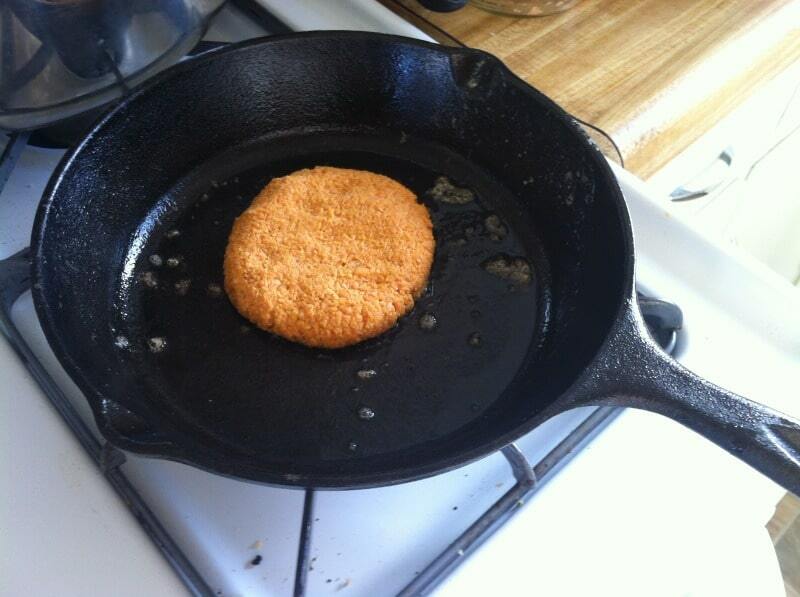 Form into patties and cook in a skillet with butter or oil on medium heat. After several minutes, when the bottom is browned flip and cook the other side for several minutes. 5. Serve with cheese, avocado or your other favorite toppings! 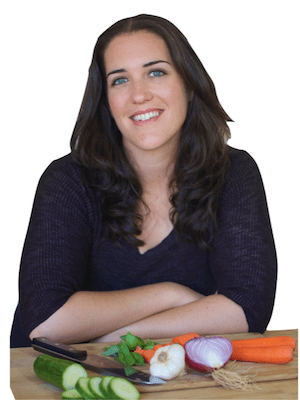 I found your website today because Natural Family Today posted a link to your giveaway. This recipe looks yummy. I plan on making this soon! Hi there! 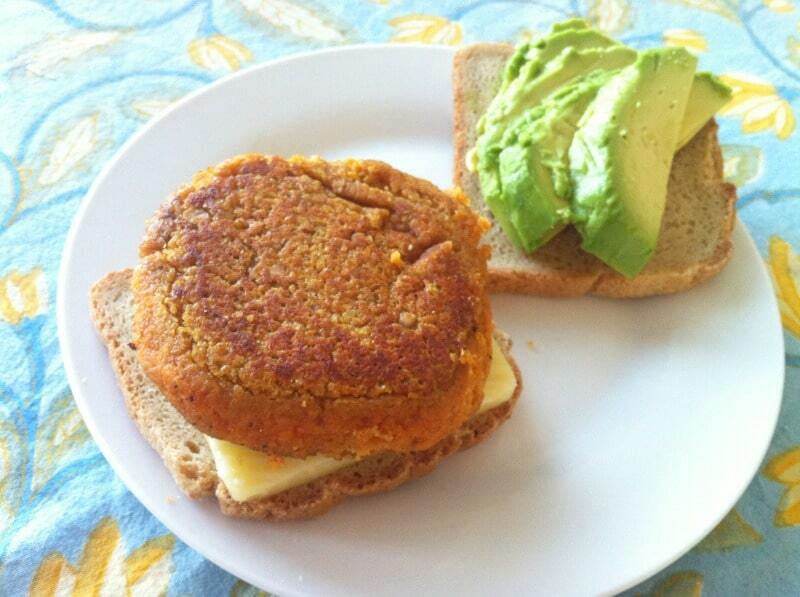 I followed your tutorial for sprouting the red lentils and plan on making this burger. But I was wondering why it’s necessary to wait 3 days before using the sprouted lentils?? It takes the lentils about 3 days to sprout. Once they are sprouted you can use them right away. Ah! I was confused. I thought you meant 3 days from the end of sprouting. I made this the other night and it was amazing!!! Except I used pumpkin puree since I didn’t have the sweet potatoes, so I added ground pecans/almonds/sunflower seeds. I have to say, only about half of them made it to the table for dinner because we couldn’t stop eating them as they came off the pan!!! Definitely going in my recipe book. Thank you sooo much!! I believe flax is the binder, in place of an egg. You could try ground chia seed, or possibly a combination of tapioca flour/potato starch. this is a wonderful recipe, thank you! these turned out really runny for me. WHat is the measure of sweet potato? I sweet potato has many sizes! I am thinking perhaps mine was too large? It was a medium sized sweet potato. Also make sure you’re using uncooked sprouted lentils. These won’t work with regularly cooked lentils. Is the oil listed for the burger mix, or for pan frying the burgers? Otherwise, this recipe looks fantastic – I’ve just sprouted lentils for the first time and can’t wait to get inventive with them! Hello, new to sprouting and can’t wait to try this out (well obviously I’ll be waiting 3 days, but you get the idea…). Can these be made then frozen and defrosted / cooked later or do you think they’d be too mushy? I think they’ll do just fine being frozen. I haven’t tried frozen yet, but I have refrigerated them and reheated and they came out great! what kind of food processor do you have? i want to buy one but there are so many choices! thanks so much for the quick response! Im going to check it out! Thanks for the food processor recommendation. I need a new one and the bowl scraper sold me! I like a little firmness and crunch to my burgers so I chop some onion and water chestnuts and add them raw to the mix after pureeing the lentils and sweet potato. I used half of a sweet potato that I had left over, sprouted green lentils instead of red, and added an egg (to make up for the volume of sweet potato I was missing). It came out overly moist for me after processing, too, so I tossed a couple more handfuls of lentil sprouts in, gave it another whirl, and the consistency was still moist, but workable. I plopped the mixture into the pan and spread it out into a patty shape with a spoon–this method worked surprisingly well! The end result was tasty! The patties weren’t super firm, but were totally able to hold their shape. Thanks for the recipe! It was a fun way to use some of the lentils we sprouted. Looks great! But, why would you take off the skins of the sweet potatoes? One of the mantras of healthy eating is “eat your skins!”. The food processor would blend them in easily, and they provide extra nutrients. I am sure as you know, most of the nutrients in a fruit or vegetable are found in and just under the skin. It makes for a smoother puree and no lumps, but if you want to include the skins you can, I’m not sure that it would turn out the same. Sounds wonderful and will try it next time I sprout lentils. A suggestion: I would be most grateful for the recipe to be condensed to one page. I hate to waste paper and ink copying several pages, plus how does one save it in a recipe box/book? I’ll have to copy it by hand. 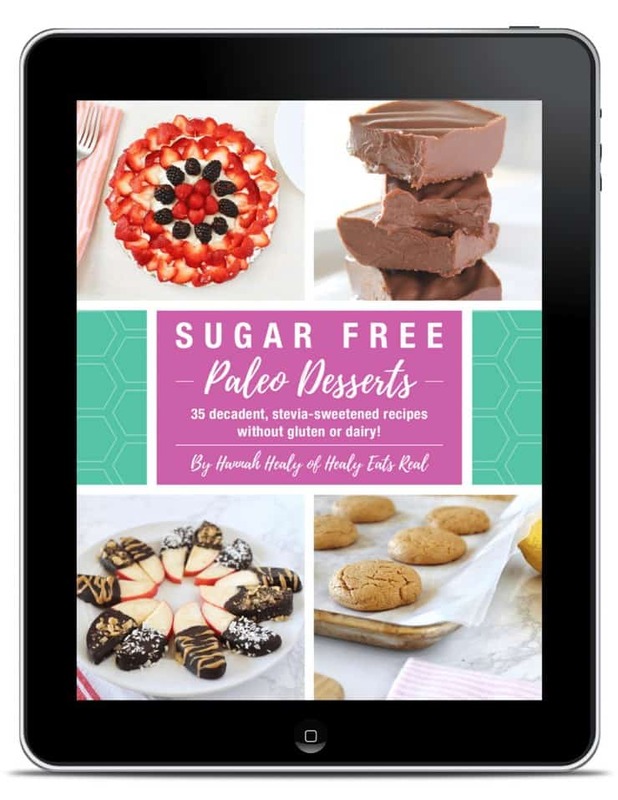 You can create a Recipe box in Bookmarks and save recipes from any site there. That is…w my Mac…not sure how it works w a PC, but probably the same. These were delicious and super healthy!!! Thanks for sharing! I started off some lentils to sprout this morning for the first time because I saw this recipe and can’t wait to try it. Thank you for sharing it! 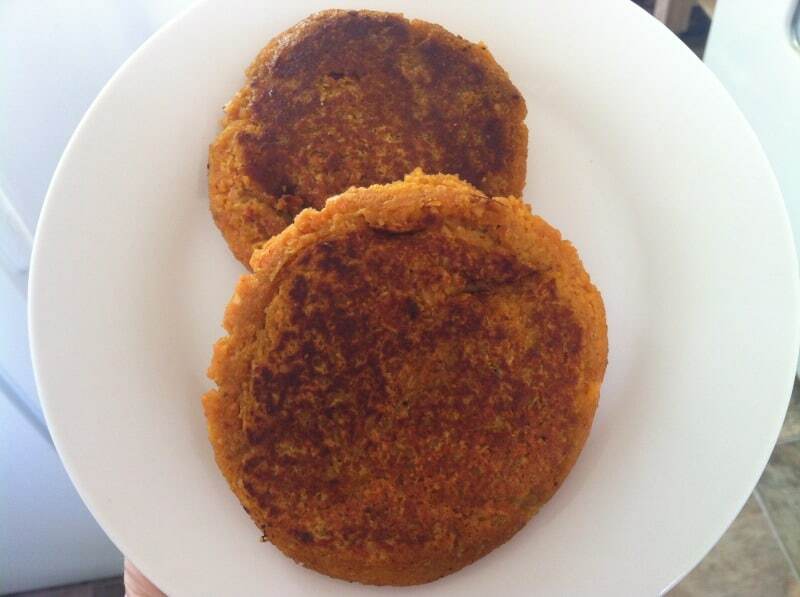 We were out of red lentils so I used green lentils, and I mixed in some rice flour because my blend was a bit juicy. My son absolutely loves them so I have made them three times already this week (I love them too so I’m more than okay with that!). This recipes sounds great! I’m hoping to try it this week, but I’m new to sprouting and was wondering if I need to begin with 2 cups of lentils to end up with 2 cups of sprouted lentils. I always feel like lentils multiply when I’m cooking with them, but didn’t know if that would be the case with sprouting. Thanks so much for sharing! I am about to make these ,,,so maybe not fair to post. I love sprouted french green lentils in salads since they have such a nutty flavor. I was looking for a recipe not to use egg, flour or breadcrumbs which what I usually use for a veggie burger. I am sure the sweet potato is the binder. I have half of a roasted sweet potato and so I will mash that and then add as many sprouts as needed. I do not feel like washing the food processor and so just make them by hand. In addition to your other ingledients, , I am going to add some curry and cilantro. If they fall apart maybe I will add some potato starch. Thanks for the recipe!